5 Styles of Quilting and Monogram letters embedded! Fast, Fun and Useful, this in the hoop Curling Iron Cover is the perfect travel accessory. 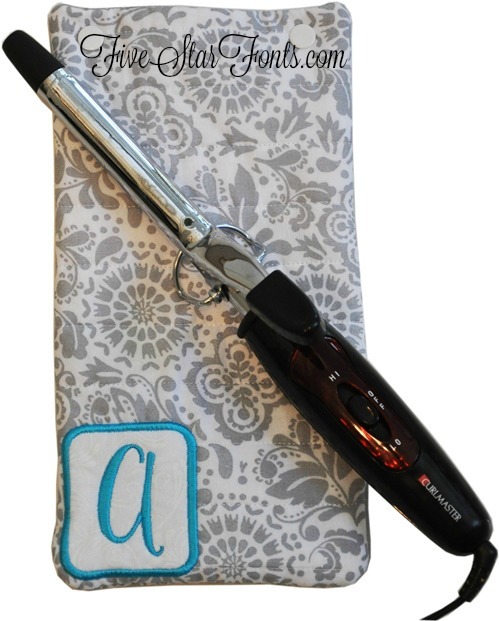 Fully lined with heat resistant fabric and cotton batting, no need to wait for your iron to cool. Just pop the hot iron into the cover and you are ready to go! 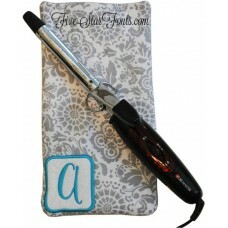 These should be super for craft shows and a nice stocking stuffers or graduation gift. 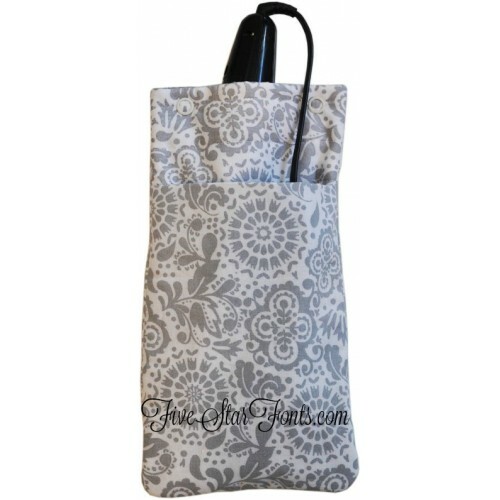 It features a handy pocket on the back to keep the cord in control! All materials in this design are readily available on line and in most Fabric stores. You will need Heat Resistant fabric (also known as Ironing Board fabric), 100% cotton batting, 100% cotton fabric for the case itself. Did we mention these have monogram letters too? 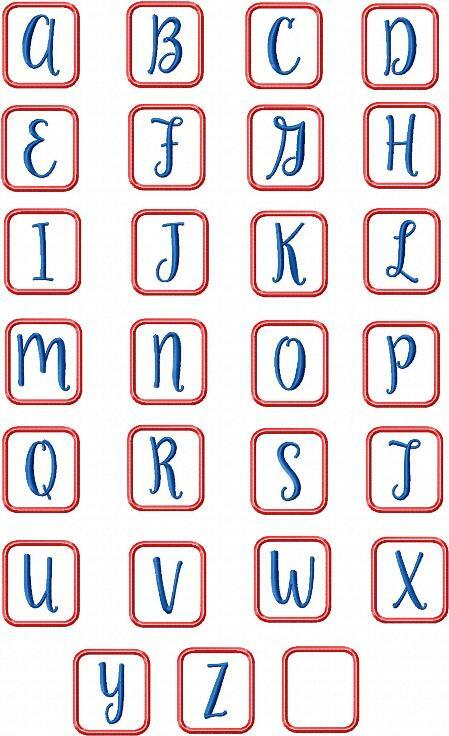 Monogram letters shown are embedded into the files so no fussing with software! 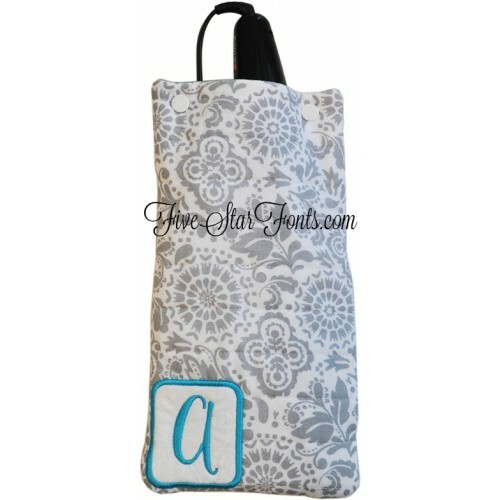 We also include a blank design (fully quilted) plus a blank design to add your own monogram to the applique square. Stitching Idea: Use themed fabrics and give them as quick and easy gifts. Perfect for teachers and all of your other gift giving. **Fully Quilted BOTH front and back. **Made in 2 Quick and Simple Hoopings - Hooping 1 Quilts the Back. Hooping 2 finishes the cover. 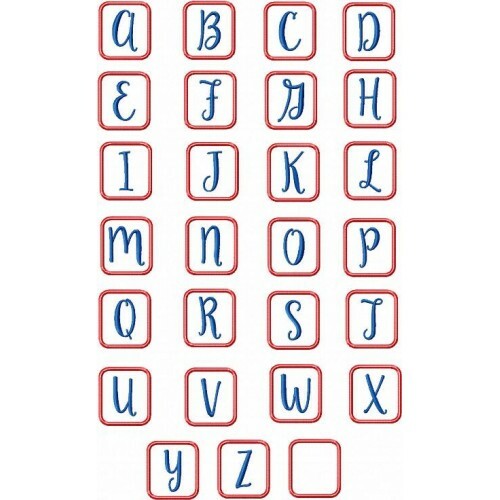 **26 Monogram files, 1 monogram blank to add your own letter and one total blank to add an embroidery design or name included (in all 5 quilting styles). A total of 145 files included in the set. Hooping 1 - 5.77" x 9.90"
Hooping 2 - 5.52" x 9.90"
Finished Design Size: 5.25" x 9.75"